Why travel far? Go surfing right on your doorstep! If someone asked you where in the world they could find a surf paradise, you would probably answer: Hawaii, Australia or South Africa, which aren’t affordable for many of us. Most people forget that we have a giant ocean just here in Europe, which can easily keep up with the big names of world-class surfing. France, Portugal, Spain and the Canary Islands are world-famous for consistent conditions and wonderful waves. By the way, have you ever thought about surfing in Great Britain, Ireland, Denmark, Netherlands or even in Germany? At good conditions, these places are all surfable. Here’s our Planet Surf Camps Europe Guide! Planet Surf Camps in Europe and Surf SchoolsSurfing in Europe - The RegionsTravel time and Traveling in EuropeThe History of Surfing in EuropeSurf Events in EuropeWhy Europe with Planet Surfcamps? Our European surf camps are in France, Portugal, on the Spanish North coast and the Canary Islands. France is THE European hot spot in summertime. We offer you three surf camps, in which you can enjoy your surf summer to the fullest. Our camp in Le Pin Sec is quieter, whereas Moliets and Vieux-Boucau are full of the surf camp vibe, sun, surfing and partying. In Moliets, there’s also our Junior Surf Camp which is for all the surf freaks aged 14 to 17. 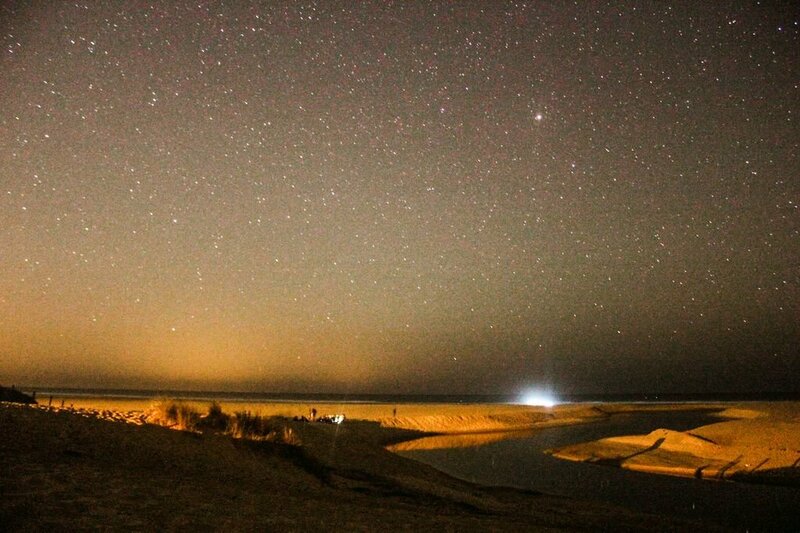 What all the camps have in common are endlessly long beaches and camping grounds right behind the dunes. In the middle of fragrant pine forests, you can relax in the midday heat before you get back on the waves in the afternoon. Read more about the surf conditions in France, our surf camps and more. If you follow the coast heading south and cross the border to Spain you will soon enter our next surf camp region. The surf camp in San Vicente de la Barquera is in Cantabria near the Cantabrian capital city of Santander. The region around San Vicente de la Barquera is characterized by a scenic landscape and less tourism if you compare it with the crowded holiday resorts in the south. On the north coast, beautiful nature is combined with excellent surf conditions. Your turns on the long beach breaks will be extra smooth right in front of the great Picos de Europa. The swell here is very consistent and beginner friendly. 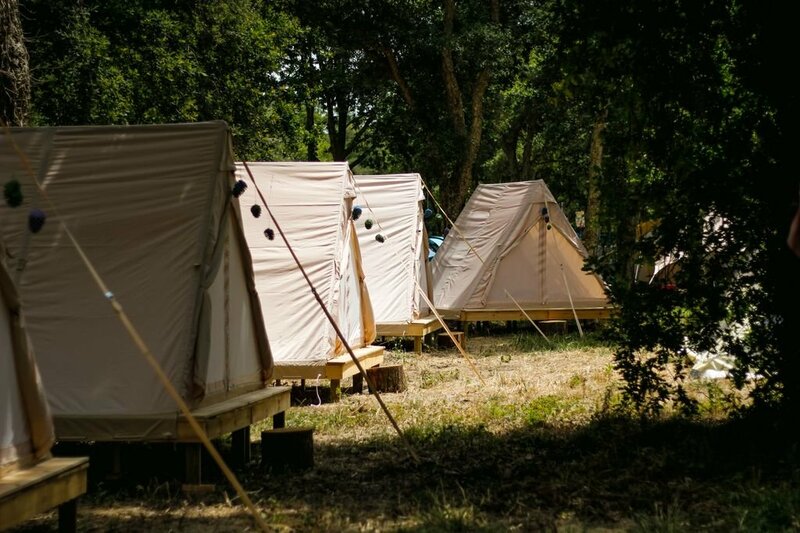 At our camp in San Vicente, relaxed surfing and empty line-ups await you, a Spanish culture which isn’t characterized by tourism and a varied nature of mountains, large meadows and long sandy beaches. Here you can find more information about surfing in Spain. 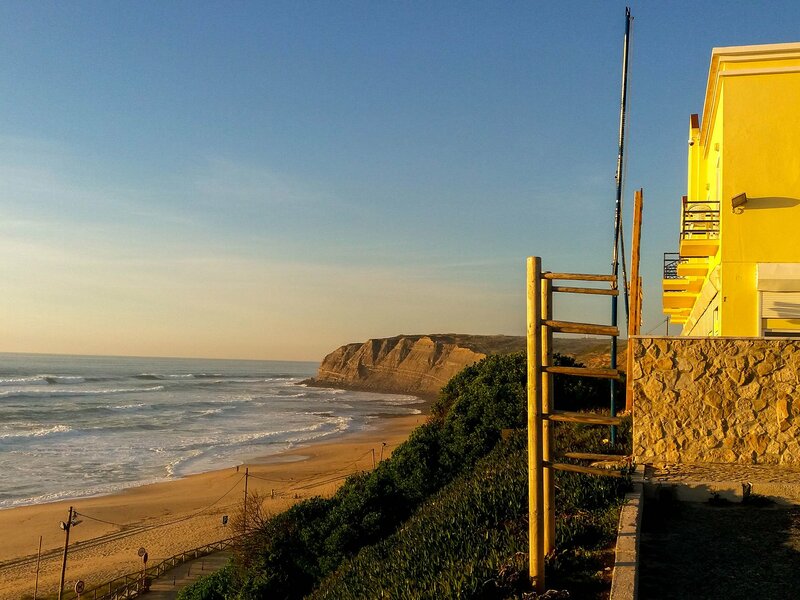 Our last surf camps on European mainland are in Portugal. You can enjoy two excellent surf regions here. The surf camp in Ericeira offers nice conditions all year long. You’re accommodated in a beautiful surf villa, where you have an amazing view of the surf spot and the surroundings. The way to the beach is short and surrounded by beautiful green nature. 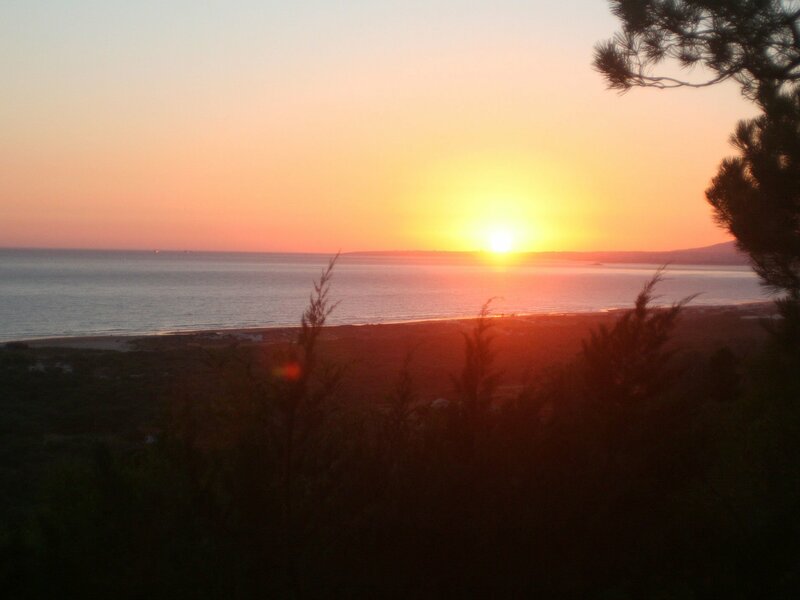 Our second Portuguese camp is located just a little north of Ericeira, in Santa Cruz. Both camps are close to Peniche, one of the most famous European surf regions. 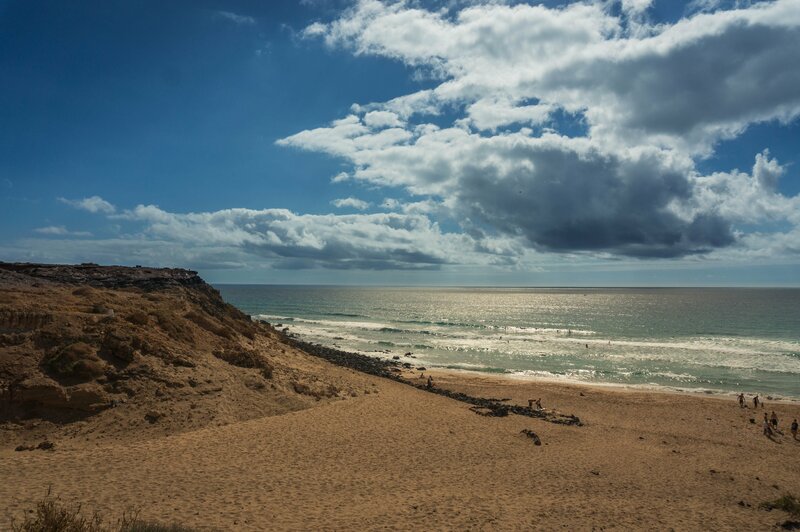 Whether you choose to stay in our surf camp Ericeira or Santa Cruz – Portugal is a mandatory stop for every European surfer and Europe travellers! We would never withhold the most reliable waves in Europe from you. You’ll find them on the Canary Islands. The location ensures that the islands get constant swells from all sides. Our camp is on Fuerteventura. Not only the waves but also the temperatures are really stabile all year long and the sun shows up almost every day. Fuerteventura is known as ‘Europe’s Hawaii’ because there are quite similar conditions. The best spots are situated on the island’s north shore where we approach the spots El Cotillo (beach break) and Punta Blanca (reef break) most of the time. 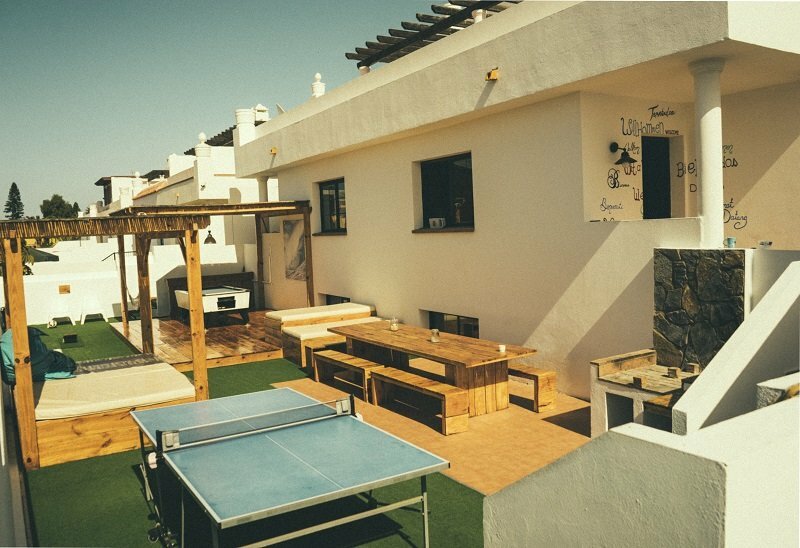 From the surf house in vivid Corralejo you’re at the spots in 30-40 minutes by car. The Family Surf Camp is suited for you if you travel with kids. It’s located close to the beach and the city centre. Unlike Fuerte’s dry landscape Tenerife is greener. When it comes to surfing, Tenerife as the largest Canary Island is in no way inferior than its sister island Fuerteventura. You can find a huge variety of beach and reef breaks here that have beautifully clear water and are suited for beginners as well as intermediates. Here’s some more information about surfing on the Canaries. Europe is surrounded by water. You can surf on every part of the coast more or less. Let’s give you a quick overview about the important surf regions in Europe. The summer surf paradise France can be divided into the three regions Gironde, Les Landes and Pyrénées Atlantiques. Especially in summertime, the long beaches are very popular among surfers because the large coastline offers enough space to live it up. It’s warm, vivid and the water is cool. If you’re tough enough you should come here in the colder months when the waves are at their best. 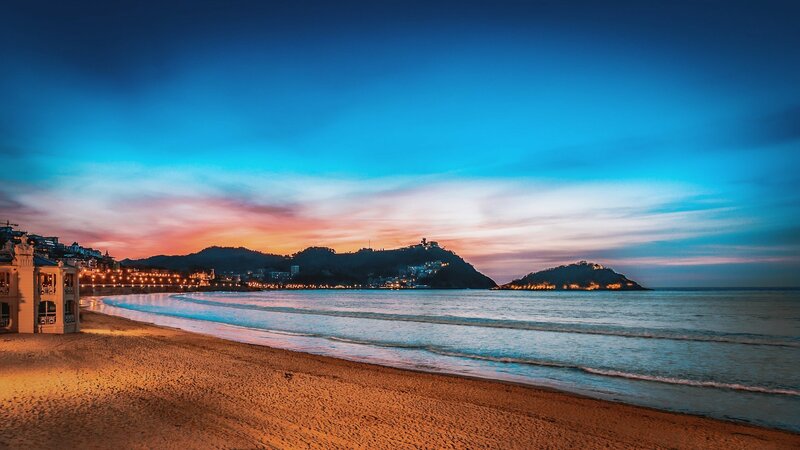 If you look at the crowded tourist regions in the south of Spain or the Mediterranean Sea coast it can be surprising that the north is still an insider tip despite its great spots and breath-taking landscapes. Whereas the beach vacationers are kept away by the harsh climate and the wild sea the surfers get attracted by it. From San Sebastián to the Portuguese border Spain leaves nothing to be desired. 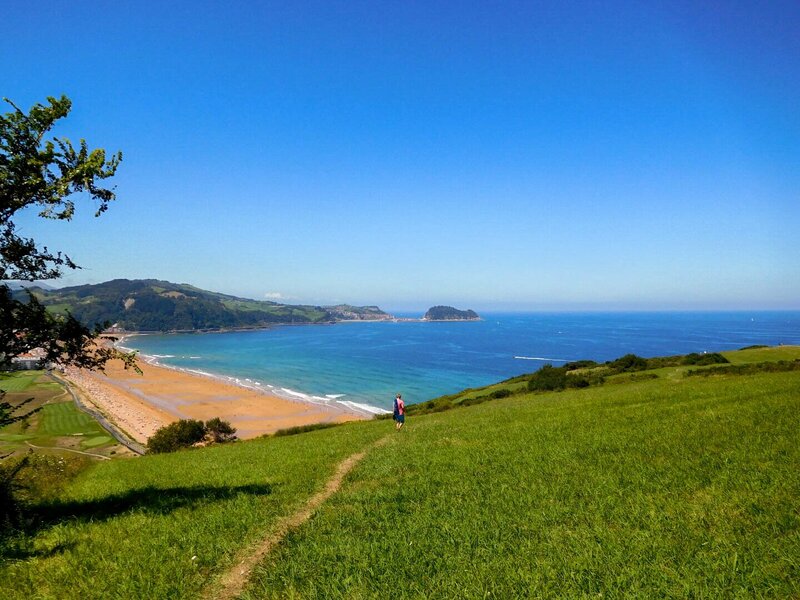 In the region around San Sebastián Zarautz is pretty popular in the surfing scene because it’s located in a beautiful bay and therefore protected from the strong winds. The spot is consistent and works even when the swell is poor. 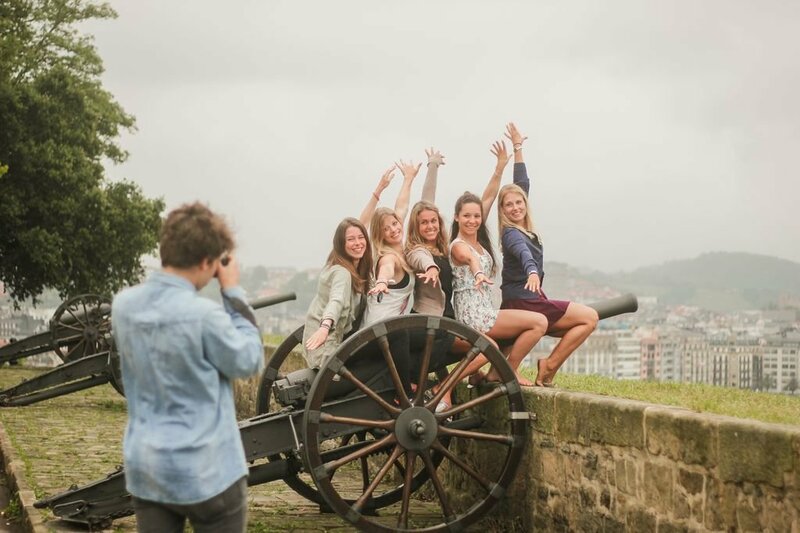 Further west you pass by the great spots around Bilbao and Santander. You should keep names like Gorliz, Langre and Longero in mind as well as San Vicente de la Barquera where you can stop by at our Spanish surf camp. Same as in France, the Atlantic Ocean offers consistent swell all year long whereas the Mediterranean Sea offers good conditions very rarely. In the west, Spain borders on Portugal that gets most of the swell from west. The country of explorers extends from north around Porto to the south on the Algarve. In between there are the famous surf regions Peniche, Ericeira and Lisboa. Peniche is considered the birth place of Portuguese surf culture. Like in most of the European surf regions the waves get more powerful and conditions crazier in winter. The WSL has one of its last tour stop in Peniche every year. You’ll get lots of information about the most important spots and more in our Portugal guide. Not only the islands where our surf camps are located are perfectly suited for surfing. Beneath our beloved North Shore on Fuerteventura and the reliable breaks on Tenerife there are also Lanzarote, Gran Canaria and even La Palma that call on you to surf. Due to Gran Canarias’ mountainy topography the surf spots are well-protected from the wind. Like in Fuerteventura the north of the island offers more consistent conditions. Lanzarote is extremely underestimated next to the famous surfer islands Fuerteventura and Gran Canaria. But the most northern island is capable of more than grow exquisite wine. Don’t let the high number of urchins bother you! Instead you can absorb all the swell from north and west without sharing it with all the surf tourists. The spots work best in the winter month. Even on La Palma you can unpack your surf board. The island is not only far away from surf tourism but also regular travellers are very rare on La Palma. So, if you’re keen on empty line-ups and a relaxed time on the water just check out the small rock in the ocean. Let’s move on to colder regions. The surf areas far from the warmer holiday resorts aren’t everybody’s taste. Most of the spots here work better in winter so you need to be tough. Not too many surfers dare to enter the water without a thick wetsuit and a hood. If you haven’t been put off by this description already you should combine your Great Britain trip with a visit to Newquay which is the centre of British surf culture. At good conditions, the spot is pretty crowded but in exchange it produces sublime waves at west swell and in the winter months. It’s not for nothing that plenty of surf contests like the Boardmasters Festival takes place here. From 9th to 13th August pro surfing encounters a high-quality stage line-up with Two Door Cinema Club, Jamiroquai and Alt-J. Great Britain gets overshadowed surfwise by its little neighbour Ireland. You neither find Hollywood-style surf romance here but instead Ireland attracts the surfers that are tough as nails. The famous spot The Peak in Bundoran get in line with the surf spot Champions League. Also 11-times world champion Kelly Slater loved the place. You can even do big wave surfing at the spot Mullaghmore. Welcome to the North Sea. Usually you connect the countries in the north of Europe with best wind surf and kite surf conditions. But also people who don’t need more than a board and a leash can get happy in Denmark. 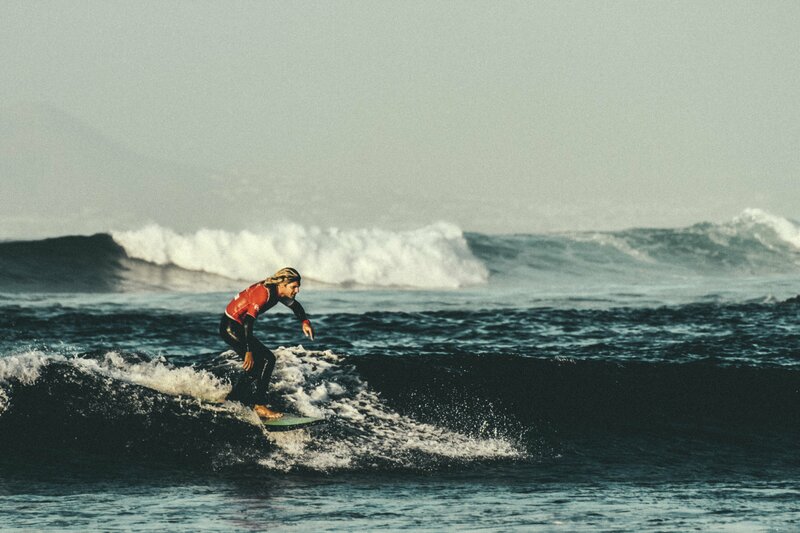 In winter, the water temperatures reach 0 degrees or less but in return you’ll get an amazing swell in these month. The surf region with the fitting name Cold Hawaii offers best conditions in Denmark. Apart from that plenty moles make sure that the waves roll a long way before they dash on the beaches. The North Sea is small so you shouldn’t expect the giant waves from the Atlantic Ocean to arrive here. Holland’s spots work almost without any ground swell. The wind does the rest so the conditions are extremely unreliable. If the forecast goes crazy after all you should go to the Dutch surf hot spot Scheveningen. The place is not about catching the biggest waves but instead it’s well-suited for beginners to nail their first pop-up, to keep the balance and try the first turns. Therefore, Holland is not very fun for advanced surfers in most cases. This is definitely no advertisement for surfing in Germany. But don’t get it wrong. Germany’s north shore is a nice place for wind and kite surfing, calling it a proper wave surfing region is presumptuous. With a lot of luck, you can find surfable waves in the colder month, for example on the islands Sylt and Nordnerney. The conditions here are incredibly unreliable so if you have enough money and time you should flee as fast as you can. Otherwise there’s still the Eisbach in Munich which provides more experienced surfers with a standing wave. In the winter month, the Atlantic Ocean provides Europe’s coast with a big swell. Surf pros and those who want to be surf pros need to settle for cold water and air temperatures if they’re keen on surfing the best waves of the year. Beginners and intermediates instead are better off. In the warmer month, they can enjoy surf camp feeling and mild summer nights while the waves conjure beginner-friendly conditions on the water. The best travel time for all surf levels is in spring whether you’re a beginner or free surfer. Summer is more beginner-friendly whereas winter is suited for advanced and pros. Same applies to the Portuguese coast. Between October and April, the spots belong to the experienced surfers and in the remaining time the field is left to the surf camps. The Canary Islands aren’t too much influenced by the seasons like the spots on the European mainland. You’ll find convenient conditions for all levels all year long. But in autumn and winter the sea is much scarier and should treated with respect. Our surf camp on Fuerteventura can be visited all year round. In the north of Europe the conditions are much less consistent and more unpredictable. Spots in Great Britain, Ireland, Denmark and Holland produce amazing waves, but you should plan on borderline temperatures because the big swells roll in in winter. In summertime, it’s much more difficult to find good waves in the north. Europe is very well interconnected. With flights, trains, busses and rides you have lots of opportunities to travel. The fastest transportation is the plane most of the time. The cheapest airlines are Germanwings, Air Berlin, Ryanair and easyJet. At our surf camps we offer shuttles from all close airports. InterRail is not dead. The wonderful invention from 1972 works extremely well to explore Europe. You can travel with all types of trains in 32 European countries. These include, of course, the surfing countries France, Spain and Portugal. Especially if you don’t have a specific travel destination in mind, this way to travel is perfectly suitable. Here goes more information! If you already decided on the place you want to end up, you should consider taking the bus. That’s probably the cheapest way to travel. In the last couple of years many low-cost companies established themselves like Flixbus, which monopolized the German market by now. However, you can expect a long travel time. You can book a bus to our surf camps on our website. All the options have their advantages and disadvantages but if you long for the real surf experience you can’t get around purchasing a van. There’s no transport that provides you with such a high amount of freedom which you need for surfing. If one spot doesn’t work just drive down the coast. With boards on the roof and the best buddies on the backseat heading towards the ocean and the waves – who hasn’t dreamt about this? You can find a ride on Blablacar or in several Facebook groups. The sport was developed in Hawaii and got to Europe because of the American film producer and film maker Peter Viertel, who started a trend. However, there may have been early forms of surfing in the Basque country where lumberjacks experimented with wooden boards before Viertel. 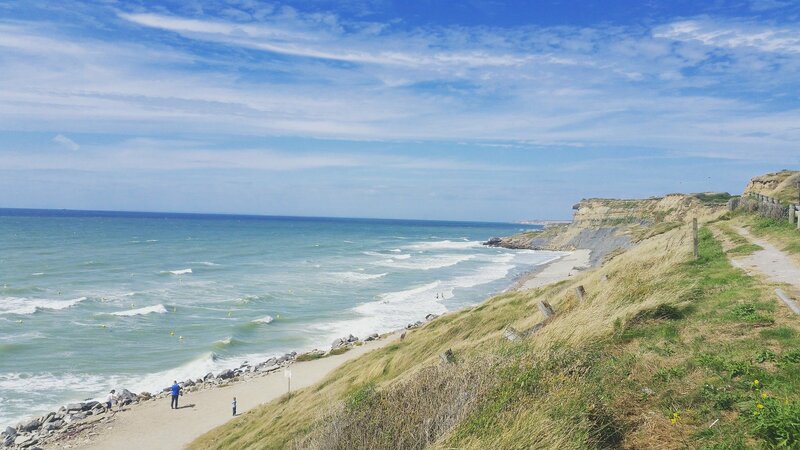 Learn more about the history of surfing on our France guide! The surf events that attract the masses in Europe are of course WSL-made. On the World Tour, the best surfers travel around the world every year to catch the biggest swells on the most famous spots. Before the last tour stop in Hawaii the WSL honour the European surf fans on two of the best spots worldwide. The Quiksilver Pro in Landes, France, takes place close to our surf camp from 7th to 18th October 2017. The venues are Hossegor, Capbreton and Seignosse. Only few days later you can see live action in Portugal. Go to Peniche from 20th to 31th October to witness the world champs! Also ISA, the International Surfing Association hosts some events in Europe. The most prestigious is in May. The World Surfing Games which are considered the official World Cup take place on France’s surfing hot spot Biarritz. Beneath the top events there are plenty of smaller events in Europe. Especially France and Portugal offer lots of them in summertime. Keep the famous Lacanau Pro Contest in mind, the German Surf Championships and the Santa Cruz Pro in Portuguese Praia da Vigia. Just inform yourself about the events before your travel. Maybe you’re lucky! Why Europe with Planet Surfcamps? Where there is water, there are waves. You can follow this slogan on a surf trip through Europe but you shouldn’t take it literally. If you’re super lucky you can surf some spots on the Mediterranean Sea and even on the German North Sea coast you could find a surfable wave. But on a pure surf trip you should focus on Europe’s south-west and the Atlantic coast. In France, Portugal, Spain and the Canary Islands you can count on the waves. Europe’s advantage as a surfing destination is the fast and affordable journey. Don’t make the mistake to underestimate the potential that lies right on your doorstep. Europe’s spots can easily keep up with the big names!